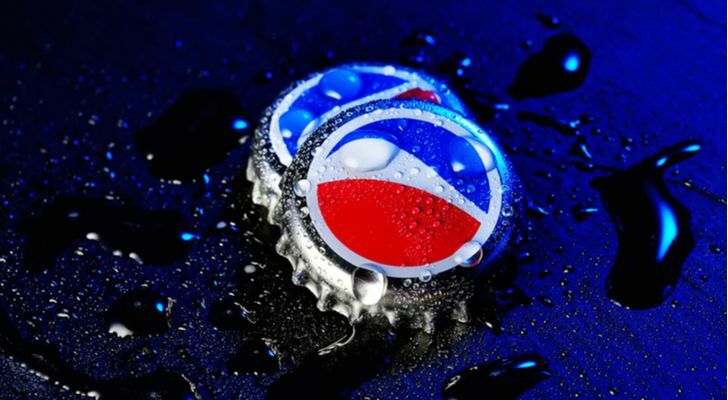 PepsiCo (NYSE:PEP) beat on both revenue and earnings estimates in their latest earnings report. On that news, PEP stock surged above the $111 per share level. While the company enjoys a track record of exceeding earnings, it has struggled as consumers at home turn away from their core brands. Although PEP stock has resumed its pattern of slow growth, it remains a stock better suited for those in need of dividend income. Q2 2018 earnings came in at $1.61 per share. This came in 9 cents ahead of Wall Street expectations, and ahead of the $1.50 per share in Q2 2017. Revenues of $16.09 billion also came in $50 million ahead of estimates. The company brought in $15.71 billion in the year-ago-quarter. This also encompasses a wide range of performance, across both divisions and geographic regions. Its Asia, Middle East, and North Africa region increased profits by 61%. Latin America profits grew by 18%. However, the picture at home is different. Frito-Lay North America increased revenue by a more modest 4%. Quaker Foods North America saw revenue fall by 5%, and North America beverages fell by 1%. Despite some bad news, Wall Street responded well. PEP stock rose by almost 4% in morning trading. Like many food and beverage companies such as The Coca-Cola Co (NYSE:KO) and Keurig Dr Pepper (NYSE:KDP), PepsiCo has struggled over the last few years as consumers turn away from sugary beverages and packaged foods. For this reason, revenues peaked in 2014 and fell for the next two years. However, they began to recover in 2017. Analysts predict $65.03 billion in revenue for this year and 2019 revenues of $66.95 billion. If this holds, revenues will finally exceed the 2014 record of $66.68 billion next year. Its namesake Pepsi Cola beverage, as well as drinks such as Mountain Dew and Gatorade, have dragged down growth. A focus on healthier beverages has hurt their more iconic brands. However, sales in most international regions have risen. Pepsi and its peers have also found some success in marketing 7.5 oz. can sizes. Many analysts also believe that it should take a page from archrival Coca-Cola and spin off its bottling business into a separate company (Coca-Cola Bottling Co (NASDAQ:COKE)) . Whatever PepsiCo decides, options remain for revitalizing profitability in its core beverages. Despite the struggles of the last few years, PepsiCo has projected confidence recently. As a dividend aristocrat, PEP stock holds one of the longest records of consecutive dividend increases in corporate America. Its record of annual dividend increases now stands at 46 years. In May, the company boosted its quarterly dividend from 80.5 cents per share to 92.8 cents per share, an increase of about 15%. This is a bold move since Pepsi faces tremendous pressure to keep the dividend increase streak going. Thanks to this increase, new buyers will receive a dividend yield of around 3.45%. While the dividend likely stands as the best reason to buy PEP stock, the stock price should see modest growth in the near term. PEP stock peaked at $122.51 per share in January and had risen from the May low of $95.51 per share. Now that the stock trades at about $111 per share, it should recover the 52-week high. Still, with the stock trading at a forward price-to-earnings (PE) ratio of just over 19, the stock trades at a fair valuation. PEP stock has again becomes buy — as a dividend player. PepsiCo impressed on earnings. The ability to increase revenue despite the lagging popularity of its core product should reassure investors. Though stock price growth will likely not impress Wall Street, investors can expect PEP stock to return to 52-week highs. However, where PepsiCo has really impressed is in its dividend. A 15% dividend increase from a company under massive pressure to increase its dividend annually translates into an unmistakable show of confidence. Many long-term stockholders look for a higher-than-average dividend yield that will grow over time. PEP stock should serve this class of investors well for years to come. Article printed from InvestorPlace Media, https://investorplace.com/2018/07/earnings-beat-reaffirms-pep-stock-dividend/.